Found in response to a request for a bread machine recipe for Ciabatta Bread. I love this stuff. It is one of the best breads I make! Place ingredients into the pan of the bread machine in the order suggested by the manufacturer. Select the Dough cycle, and Start. Dough will be quite sticky and wet once cycle is completed, resist the temptation to add more flour. Place dough on a lightly floured board, cover with a large bowl, and let rest for 15 minutes. Lightly flour or use parchment lined baking sheets. Divide into 2 pieces, and form each into a 13x14 inch oval. Place loaves on prepared sheets, dimple surface, and lightly flour. Cover, and let rise in a draft free place for approximately 45 minutes. Dimple dough for a second time, and then place loaves in the oven, positioned on the middle rack. 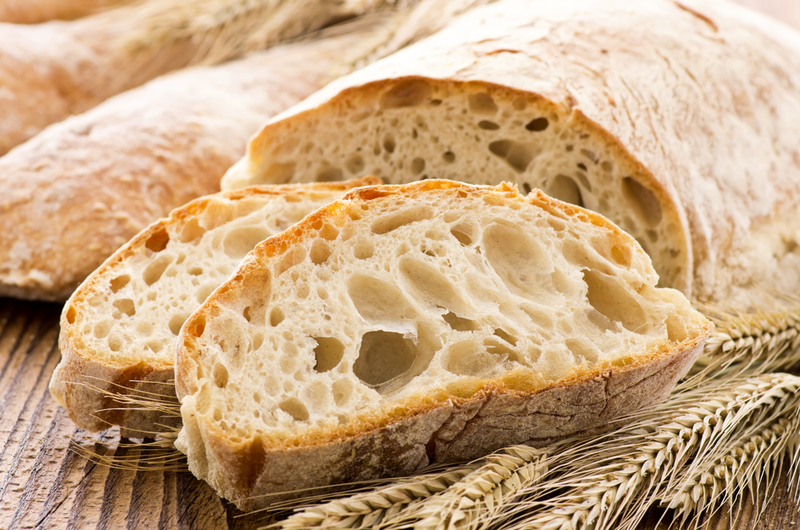 During baking, spritz loaves with water every 5 to 10 minutes for a crispier crust..